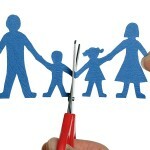 Parents involved in child custody litigation commonly ask us what is the difference between joint and sole custody. 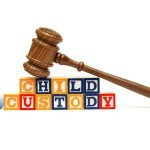 By way a very brief summary, sole custody is the ability to solely make decisions whereas joint custody is a situation where neither party unilaterally can make decisions and both parties have the shared ability to make decisions about the child, as well as spend physical presence with the child. Legal custody refers to a parent’s ability to make decisions about a child’s welfare, education, and health; whereas physical custody refers to a child’s physical presence. Accordingly, a joint legal custodial arrangement, a pure joint legal custodial arrangement means that both parties share in the ability to make decisions about a child’s health, welfare, and education, and a pure joint physical custodial arrangement means that both parents share in the child’s physical presence. A common question asked by family law litigants involved in child custody proceedings is how will a court determine the custody of the children. By way of generality, the standard applied by the court in determining the custody of a child is that child’s best interest. Now, how does a court determine what a child’s best interest is? There are various different factors involved in the analysis by the court of a child’s best interest. One of those factors is the child’s status quo. What does the status quo mean? Generally speaking, the court does not want to disrupt a child’s life unless there is a showing that the child’s current lifestyle or the current status quo jeopardizes a child’s general welfare, safety, or health. Absent a showing that the child’s general welfare, safety, and health are jeopardized courts generally like to maintain the status quo to which a child has grown accustomed. A second standard applied by the courts is how can a custodial arrangement, a new lifestyle for the child, ensure both parents frequent and continuing visitation with that child. Again, unless there is a showing that one of the parents will jeopardize a child’s general health, welfare, or safety, the courts want to have a custodial arrangement that allows both parents frequent and continuing visitation with the child. Again, the general standard applied by a court in determining a custody arrangement for a child is that child’s best interest. The best interest of the child however that analysis involves various different factors, the two most common of which are 1) what is the custodial arrangement to which that child has grown accustomed, and 2) what custodial arrangement will allow both parents, the custodial and the non-custodial parent, frequent and continuing visitation with the child.